National Standards Testing Laboratory (NSTL) is a private, independent facility, founded in 1966. NSTL specializes in the precision calibration of force measuring instruments and systems including load cells (with accompanying indicator or mV/V), proving rings, and force gages. All calibrations are traceable to the National Institute of Standards and Technology. National Standards Testing Laboratory has completed the accreditation process with the ANSI-ASQ National Accreditation Board (ANAB). ANAB Accredited Certificate Number L2271. 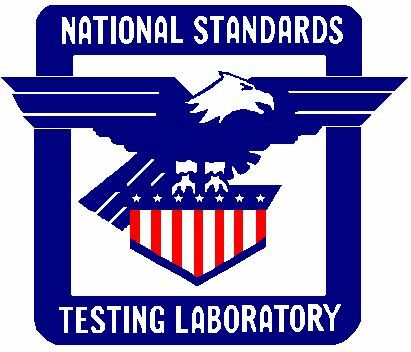 National Standards Testing Laboratory is accredited to ISO/IEC 17025:2005 for force calibration in accordance with the ASTM E 74 Specification in Compression and Tension over the ranges from 10 lbf to 1,000,000 lbf and machine calibration in accordance with the ASTM E 4 Specification up to 6,000,000 lbf. National Standards Testing Laboratory has the capability of calibrating force measuring devices in both compression and tension with capacities from 30 lbf to 1,000,000 lbf. The uncertainty of the applied forces generated by the force standards of NSTL is within 0.002% of load up to 12,000 lbf and 0.01% of load from 12,000 lbf to 1,000,000 lbf. Devices of smaller or larger capacities may be able to be accommodated by special arrangement. If you would like any additional information please let us know. We are available by telephone between the hours of 9:00 a.m. - 4:30 p.m. eastern time Monday - Friday. Or feel free to fax or e-mail anytime.